This tutorial is about how to make an easy bracelet within few minutes, if you want to make some simple accessories, try this one! Wanna a cool bracelet? Then see here and you will be access to a Pandahall tutorial on how to make cool black hematite and clear glass beads bracelet. In this article, I want to share a handmade blue and red glass bead bracelet with you. 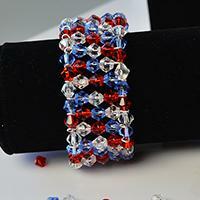 Just follow the simple tutorial below to make one if you like this blue and red bracelet. 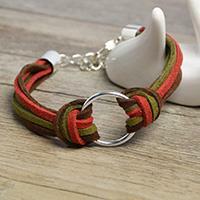 See this cool suede cord bracelet, wanna it? 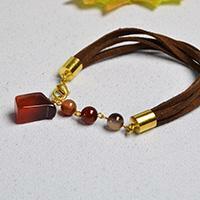 Then follow me to check this Pandahall original project about how to make simple agate beaded suede cord bracelet. 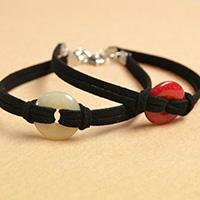 Want to try simple suede cord bracelet making? If yes, you should follow me to see this Pandahall tutorial on how to make simple suede cord bracelet within two steps. Are you searching for glass beads bracelet? 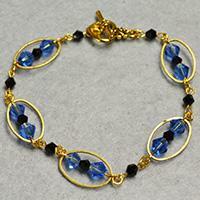 This tutorial will tell you how to make glass bead bracelet with golden oval links. Hoe you will like it! 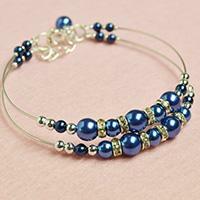 Wanna seed beads bracelet? 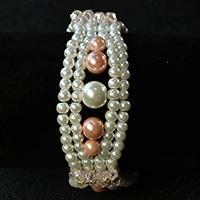 See here and follow me to check how to make handmade seed beads bracelet with colorful pearl beads. 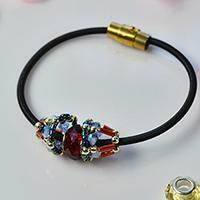 Are you interested in bead charm bracelets? This Pandahall DIY tutorial will tell you how to make a glass bead charm bracelet in a simple way. Hope you can enjoy it, let’s check the details together. Do you like DIY wire bracelets? 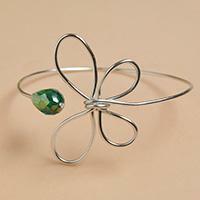 This Pandahall original DIY project is about a silver wire wrapped butterfly bangle bracelet. Hope you like the butterfly bangle bracelet. 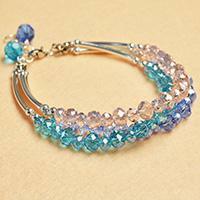 This easy Pandahall tutorial is about a colorful multi-strand bracelet. Hope you like it and enjoy the DIY process. Do you like slave bracelets? 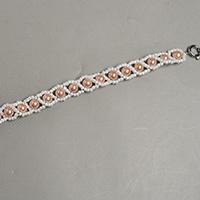 In this article, I'll show you how to make a bling beaded slave bracelet with glass beads and seed beads. Hope you like the beaded slave bracelet. Now, I am sharing you an easy Pandahall tutorial about how to make simple blue pearl bracelet within two steps, hoping you will have a nice try! 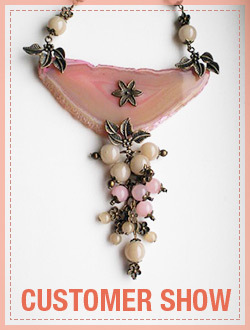 Do you like pearl beaded jewelries? 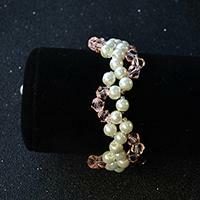 Here I will share you a tutorial on how to make multi strand bracelets with pink and white glass pearl beads. Let’s see details together.